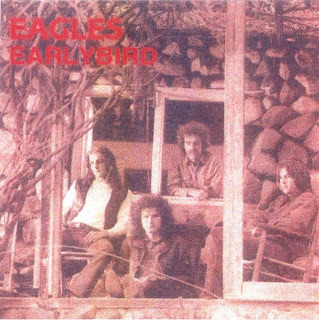 This is The Eagles live in 1973 from a recording that has been circulated as Earlybird. There were two versions of the Earlybird bootleg both included the BBC Radio set (tracks one to nine) and were probably lifted from a BBC transcription disc as soundboard is credited for this part. Version one also included a bonus track of "Hotel California" from 1977, and a bonus track of Don Henley on The Jay Leno Show. Version two includes the bonus track of "Already Gone" from another TV performance and is included here, and was originally circulated by 'Music Nation' (number 005). This copy (which came as a digital file) also includes three more tracks from Santa Monica 1973. Source: FM broadcast / Transcription disc. Sound Quality: Very good stereo mp3@320kbps. OK we have another bumper selection of new music to recommend this month so lets start with ten of the best. The Rattles bring us some perfect summer power pop with the featured tune 'Wavy Lane'. 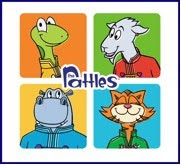 We are told 'Hailing straight from the swamps of Central Jersey, an eclectic band of anthropomorphic critters known as The Rattles are preparing to roll out their debut studio album ‘Rattle On’. Working in the classic traditions of The Beatles, Moxy Fruvous, The Monkees, and They Might Be Giants, The Rattles apply a fresh fusion of classic rock and power pop that is sure to appeal to fans of all ages and put them on the map'. Well if this song is anything to go by I reckon the above might be right, get your summer clothes on and head for the beach with The Rattles providing the soundtrack.